Treat yourself to the most advanced non-surgical techniques to minimize fine lines and wrinkles. Dr. Richter's expert knowledge of facial esthetics will create the most beautiful you, bringing back a refreshed and natural look with minimal to no downtime. Imagine your most beautiful you. Lines and creases in the face tell a story that is not necessarily accurate about you. Our faces change over time, and they may be communicating feelings like being anxious, tired, or unfriendly without us even knowing it. 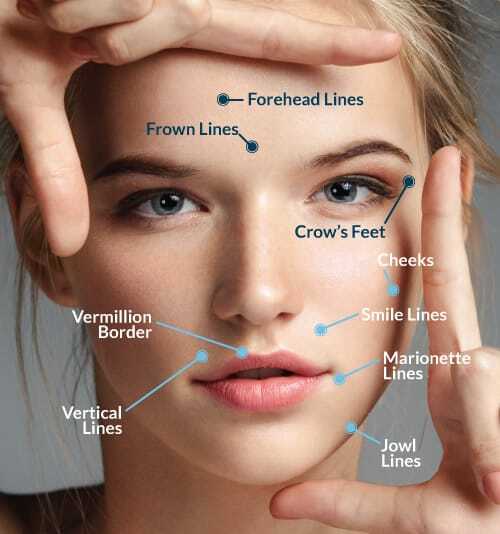 Many of our patients worry that not only are their lines, creases, or scars making them look older or as if they have less vitality, but also how it may affect them in communicating professionally and personally. 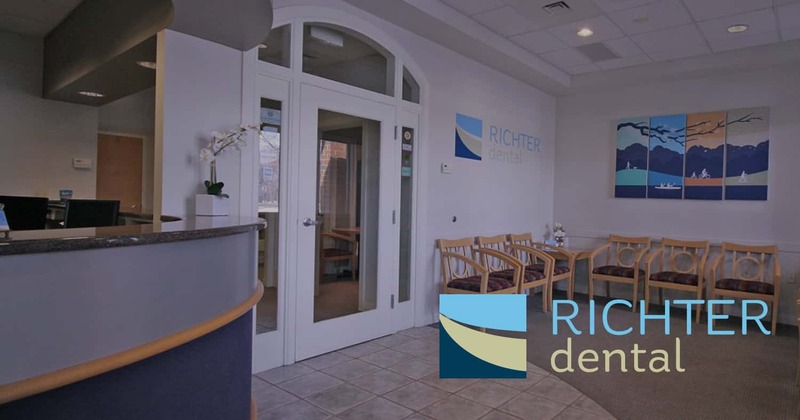 Dr. Richter can use a combination of techniques and care to help minimize the appearance of fine lines and wrinkles, bringing back a refreshed, natural look. Depending upon the treatments used, often patients see results immediately or within a week. Our goal is to help you look more youthful and exceptionally natural — with minimal to no downtime. We will work with you to determine what products or combinations will help you best achieve your aesthetic goals. Botulinum toxin injections are a temporary solution for the treatment and prevention of wrinkles. This procedure is the most extensively studied aesthetic treatment and the #1 selling aesthetic treatment in the world. Your dentist in Merrillville, IN will administer a tiny injections of botulinum toxin directly into the muscles that cause moderate to severe lines and wrinkles. Discomfort is very minimal and brief. Injecting botulinum toxin into the muscles that cause wrinkles, temporarily reduces the activity of those muscles. The result is a reduction in the appearance of lines and wrinkles. The entire treatment takes approximately 10 minutes. You may begin to notice results within 24 to 48 hours with results lasting up to 4 months. Botulinum toxin injections are often used in conjunction with dermal fillers to further enhance results. As people age, the dermal layer of the skin becomes thinner. The loss of elasticity and fullness is manifested in wrinkles. Dermal fillers add volume to depleted areas to restore your face to a more natural youthful appearance. Dermal fillers are smooth injectable gels made from naturally occurring hyaluronic acid. You will see results immediately after the dermal filler treatment. Results can last up to a year. Any form of facial contouring with dermal fillers is performed as a non-surgical, minimally invasive out-patient procedure in Dr. Richter's office in Merrillville, IN. In facial applications, dermal fillers will provide a correction that lasts around one to two years depending on the type of filler. Individual results may vary, affected by age, metabolism, skin type, lifestyle and muscle activity.